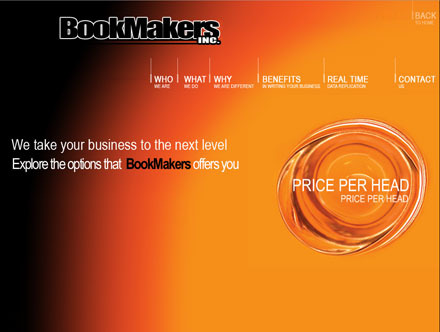 IDSCA.com has changed their name to bookmakersinc.com, most likely due to their recent legal troubles. Reliable sources have informed us that one of their principle and long time owners has been indicted by the US Justice Dept. Under these circumstances a name change is a pretty standard move as they may want to disassociate themselves from the IDSCA.com brand. Our experience with reviewing and monitoring the offshore betting industry tells us that this situation could go either way. We have seen these types of legal actions destroy sportsbooks who can’t stand the heat while others continue to prosper. We advise any prospective client who is thinking of signing up with them to proceed with caution. That being said IDSCA or Bookmakers Inc. is actually offering a pretty solid product. Their website, although a little stripped down and minimalist, shows that they have all the tools that a bookie could ever want to run a profitable business. They have been in the price per head industry since 2001 which shows us that they’ve been around long enough to know what they are doing when it comes to providing decent bookmaking service. IDS CA has a full service offering that includes sports, horse racing and online casino. One thing that we really liked about them was their customized agent profiles. Unlike a lot of other services that try and force you to accept certain software settings, IDSCA will let you mix things up any way you want. This is appealing to small bookies who want to just offer a few betting options, to large bookie who want to offer all the betting options of a Las Vegas casino. One drawback to their system is that they are still using the slightly antiquated ASI gaming software and their own BLR software for horses and casino. These software systems are reliable but a little bit clunky and are not top of the line for the industry. On the positive side, all wagering and agent reports can be accessed via any mobile internet device which means your days of staring at the computer in your office all day are a thing of the past. Our recommendation is to give them the wait and see approach while they sort out their pending legal issues. If they make it through the upcoming NFL season then it’s a good bet that they will be around for the long haul. They could be a good back up service for you if you encounter any problems with your main PPH provider.